Good things often come in twos, but what about fours? 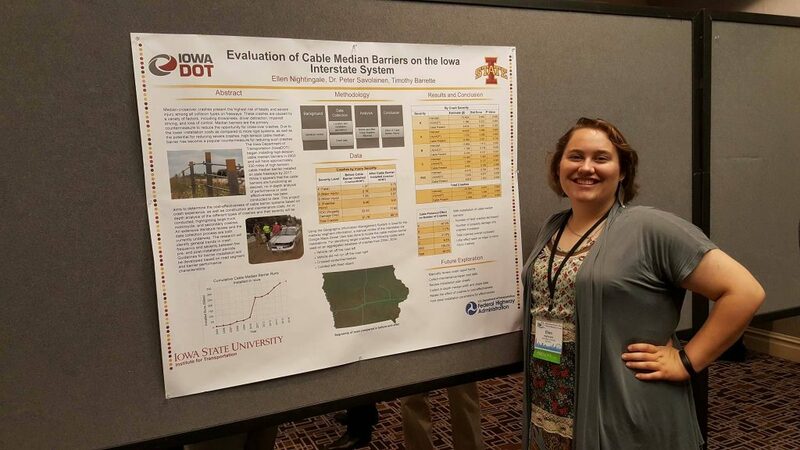 Iowa State University’s chapter of the Institute for Transportation Engineers (ITE) has been named the 2016 Outstanding Student Chapter by MOVITE, the Missouri Valley Section of ITE. This award is their fourth consecutive outstanding student chapter honor from MOVITE, a professional transportation organization in Iowa, Arkansas, Kansas, Missouri, Nebraska, and Oklahoma. In late June, 14 student representatives attended the Midwestern/Great Lakes ITE Conference in Chicago, Illinois, to receive the award and compete in both group and individual competitions. ISU was also awarded the 2016 ITE Midwestern District Student Chapter Activities Award. This honor was based on the student chapter’s numerous activities to promote transportation, including volunteering for service projects, scheduling transportation speakers, planning career development events, and attending professional meetings. Additionally, four students from ISU’s Institute for Transportation came away with individual awards. Patricia Thompson, Amrita Goswamy, and Mehrdad Morshedi, while working on a team with students from other universities, won the Student Design Competition. This competition involved working as a team to apply transportation and traffic engineering classroom knowledge to real-world problems. “The Transportation Student Association is able to continue as a strong organization thanks to the support from the Institute of Transportation Engineers, the transportation faculty at Iowa State, and every student member who works to diligently prioritize the advancement of professionalism and development in transportation,” said Nightingale. TSA is the parent organization of the Iowa State chapter of the ITE and in 2017 will be celebrating its 20th anniversary and long-lasting dedication to transportation.